The phrase water-energy nexus is commonly used to describe the inherent and critical interdependencies between the electric power system and the water delivery system (WDS). In this work, an analytical framework capturing the interactions between these two critical infrastructures is examined and a mathematical model to describe the associated dynamics is developed. Based on the time-scale of the associated dynamics, the electric network behavior is represented using time-series power flows following unit commitment and optimal power flow solutions. The WDS is represented using continuity equations at the delivery junction nodes and energy equations around the delivery loops and from tanks and reservoirs to the network. An integrated simulation engine of the interdependent infrastructure systems is formulated to conduct long-term simulations. Test cases have been conducted to show the impact of mega droughts and electric supply disruptions on the two interdependent systems. VIJAY VITTAL was born in Bangalore, India. He received the B.E. degree in electrical engi-neering from the B.M.S. College of Engineering, Bangalore, India, in 1977; the M.Tech. degree in electrical engineering from the Indian Institute of Technology, Kanpur, India, in 1979; and the Ph.D. degree in electrical engineering from Iowa State University, Ames, in 1982. In 2005 he joined Arizona State University where he is the Ira A. Fulton Chair Professor in the School of Electrical, Computer and Energy Engineering. From 1982 – 2004 he served as a faculty member at Iowa State University. He joined the Faculty of the School of Electrical & Computer Engineering at Iowa State University in 1982, he was promoted to the rank of associ-ate professor in 1986, and to the rank of professor in 1990. In 1999 he was appointed as the Harpole Endowed Professor and in 2003 became an Anson Marston Distinguished Professor. His research interests are in the area of power system dynamics, dynamic security assess-ment of power systems, power system operation and control, and application of robust control techniques to power systems. He is the author and co-author of several papers in his field. In 1992 he co-authored the textbook entitled Power System Transient Stability Assessment Using the Transient Energy Function Method with A. A. Fouad, in 1999 he co-authored the textbook enti-tled Power System Analysis with A. R. Bergen, and in 2012 he co-authored the textbook entitled Grid Integration and Dynamic Impact of Wind Energy with Raja Ayyanar and in 2014 he co-authored the textbook entitled Application of Time-Synchronized Measurements in Power System Transmission Networks with Mladen Kezunovic, Sakis Meliopoulos and Vaithianathan Venka-tasubramanian. During 1993-1994 he was the Program Director of the Power Systems Program at the U. S. National Science Foundation. He is a recipient of the 1985 U.S. Presidential Young Investiga-tor Award. In 1988, he received the NCR Faculty Award of Excellence. He also received the 1989 Iowa State University College of Engineering “Young Engineering Faculty Research Award.” In 1997, he was elected as a Fellow of IEEE for contributions “to the development of the transient energy function method and its application to power system dynamic security assess-ment, and for leadership in power engineering education and research.” He was also the recipi-ent of the 2000 IEEE Power Engineering Society Outstanding Power Engineering Educator Award. From 1998-2000 he was the Chairman of the IEEE Power Engineering Society System Dynamic Performance Committee. He was the technical program chair for the 2001 IEEE PES Summer Power Meeting. In 2003 he received Iowa State University Foundation Award for Out-standing Achievement in Research and was also elected to the U.S. National Academy of Engi-neering in 2004. From 2005-2011 he served as the Editor in Chief of the IEEE Transactions on Power Systems. In 2013 he was awarded the IEEE Herman Halperin T&D Field Award. In 2018 he received the Utility Variable-Generation Integration Group (UVIG) Achievement Award and the IEEE Power and Energy Society Prabha S. Kundur Power System Dynamics and Control Award. 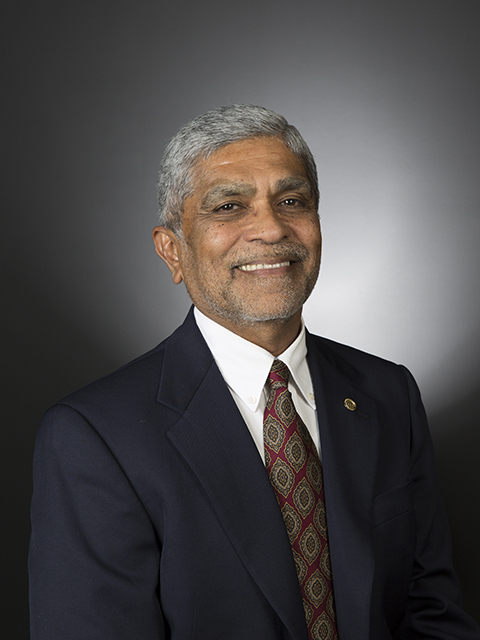 Since 2005 Dr. Vittal has also served as the Director of the Power System Engineering Research Center, a Phase III National Science Foundation, Industry/University Collaborative Research Center consisting of 13 member universities and 35 industry members.